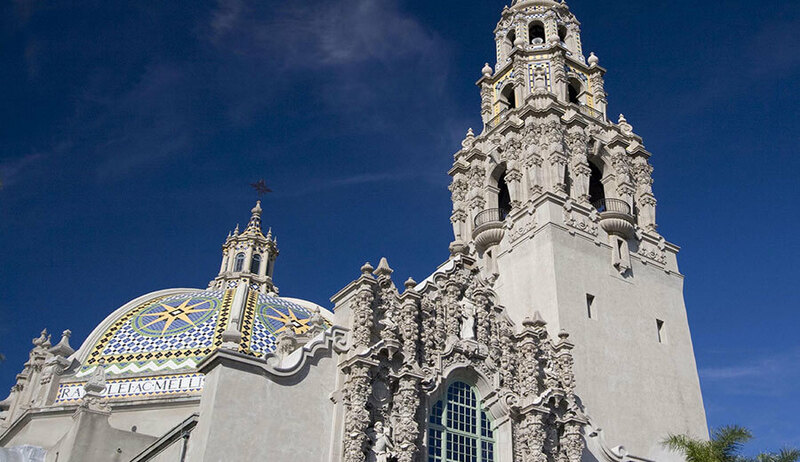 San Diego’s historic Balboa Park is a parkland gem of 1,170 acres in the heart of the City. The park is considered the crown jewel of the City’s Park and Recreation system, and receives over 10 million visitors each year. Central to the park and its main entry is the California Quadrangle, an architectural complex designed for the 1915 Pan-American Exposition by the famous American architect Bertram G. Goodhue to celebrate San Diego’s Hispanic heritage. This Quadrangle is easily identified by the magnificent 208-foot tall California Tower, which was one of the first buildings constructed at the park for the 1915 Exposition and is today home to the Museum of Man. 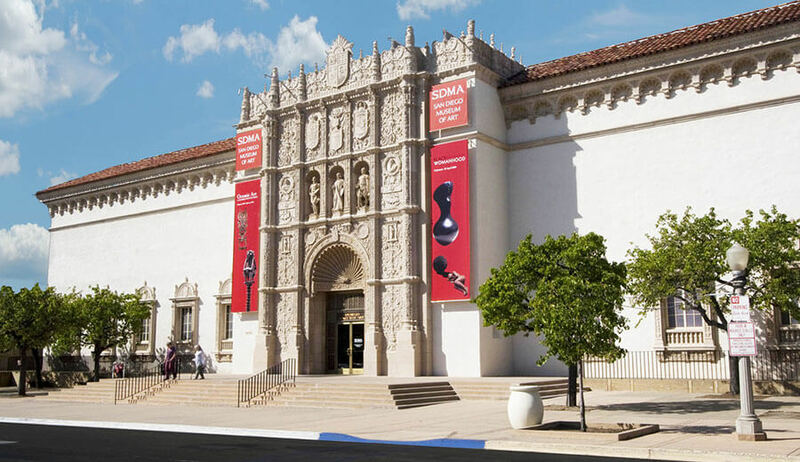 Complimenting the Quadrangle is the nearby Museum of Art building and its distinctly ornate precast concrete façade, which was added in 1926 to serve the City’s expanding cultural community. 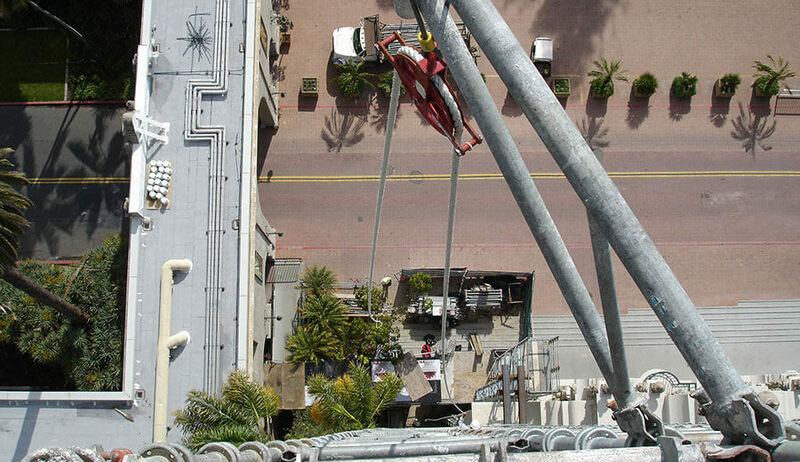 Unfortunately, time and the elements had taken a toll on these prominent landmarks, and Soltek was contracted to provide renovations on these structures to enable them to continue being enjoyed for generations. 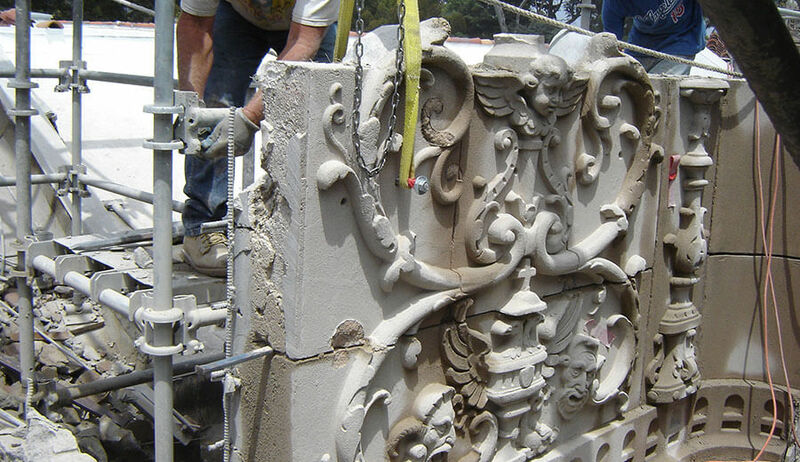 This challenging project included the restoration of the ornamentation of both the California Tower and the Museum of Art’s main building frontispiece. 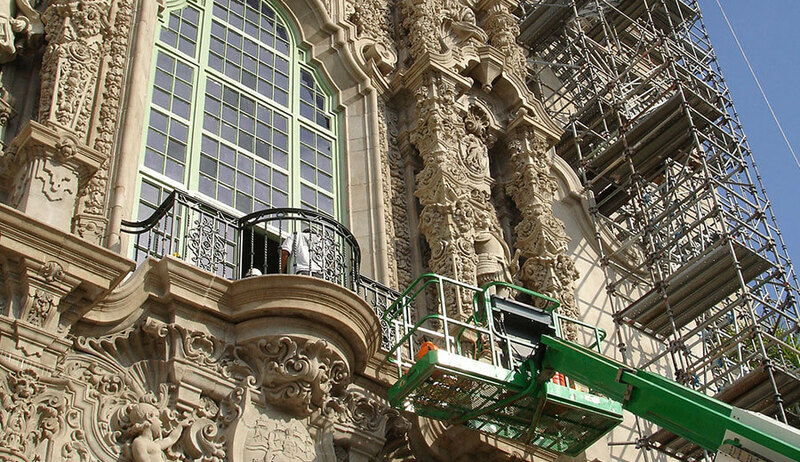 The work scope included repairing cracks, spalls, and failed patches in the ornamentation, cleaning the ornamentation and Tower walls, restoring deteriorated ornamental iron railings, repairing existing windows, and repairing damaged ceramic tiles on the Tower dome. Included was the repair, and in some cases the reconstruction of many smaller pieces of ornamentation that were broken or missing using special mortars. Other larger pieces were replaced with new ornamentation made from glass fiber-reinforced concrete to reduce weight. The new ornamentation was cast in molds taken from the original pieces. Additionally, all existing ornamentation was thoroughly cleaned and treated with a migrating corrosion inhibitor and liquid water repellent to mitigate further deterioration.